I just felt as though I should post a topic or something. This is a Metroid fangame. I originally started work on it back in November of 2003 with my friends Hatchet, corey, and infey. We decided to remake Metroid 2 into something more like the modern Metroid games. We were completely remaking the game from the ground. We kept the basic plot of the game and added in more non-obstructive details, as well as new areas. We've tried to keep things going with it, but things always seemed to come up. Eventually, corey and I decided to stop working on it to pursue more original ideas and ones that wouldn't be under such heavy scrutiny. Anyways, here is a link to the "official site" for MTR. It has music and a video. This is really cool. I am a big fan of the Metroid games myself, and got pretty far in Metroid 2. This looks well done and professional. So it is not being worked on any more? Any chance of it ever coming back? 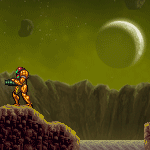 Hey you didn't post the screen of Samus on that ship thing(Not much of a fan haha) Think you could release what you had done though, or maybe a tech demo for others to be able to create a Metroid game? yeah, just watched the video and thought it looked pretty cool. It's a shame your not working on this anymore. I had played a few prototypes of this game and the engine was really cool! Also, the graphics are *not* rips -- they're original tiles drawn painstakingly faithfully. I wondered sometimes if making them look so much like rips was sort of contrary to the point. To be fair from my knowledge it isn't WIP's fault this project always ran into problems but other team members. If you guys have ever worked on a game with a team before you can imagine what sort of stuff comes up (usually someone who has a critical task delegated to him disappears for no reason). 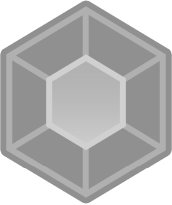 WIP: You should post a prototype version! Well we were able to get most of that stuff figured out, Him. I ended up writing my own collision engine and parts of Samus. Also for the graphics, we were originally going to use half original stuff and then rips from Fusion and Zero Mission. The most recent version went away from that. We were aiming for a PlayStation-quality with the latest stuff. I'd be interested in hearing about the processes you and your team went through in order to get up to this level. Like, what you had to do/ learn, what pitfalls your team fell into. Perhaps, why it was cancelled, and what could have been done to have prevented that from happening?